Should He or Shoodie? How are you Building Your Brand? Home/Blog, Building a Brand/Should He or Shoodie? How are you Building Your Brand? Mark Zuckerberg wears his hoodie to Wall Street. 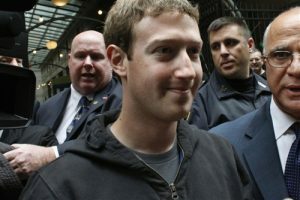 Mr. Zuckerberg caused quite a stir this week when he showed up on Wall Street wearing his hoodie. Many saw it as a sign of rebellion or that Mark doesn’t really give a crap. When I grew up we dressed up to go to church, get on an airplane or go to school functions; that’s just the way it was. It wasn’t until the middle 60’s that female school teachers were allowed to wear pants. Steve Jobs had custom-made black turtlenecks (by Issey Miyak) and it’s rumored that he had enough to wear every day for the rest of his life. According to what I read, it was his lucky turtleneck. Through the ages we knew who had money by the way they dressed. Maybe the hoodie is what inspired him to build Facebook so it’s really for good luck. We know that professional athletes button their shirts a certain way for good luck and there are salespeople that have lucky shirts, pants and ties; maybe it’s just a hoodie and nothing more. Or like Steve Jobs and his black turtlenecks, it represents good luck. Of course if I were going to Wall Street to talk about the public offering of my product I would get dressed up. In my case I look for any excuse I can to get dressed up. Now we’re back to “does it matter what you wear?” Personally I would say it does matter. My hunch is some of that comes from my background and my age and some comes from my preferences. “When in doubt get overdressed” is my motto. I recently attended International Wool Textile Organisation where the fashion types and the business types merged in the same room. The business types were all dressed in suits and the fashion types were dressed in more interesting outfits. I think everyone was dressing as expected. There is another expression, “When in Roman do like the Romans.” St. Ambrose coined this expression in 387 A.D. Basically, if you’re in Rome follow their customs. In sales we we call it building rapport. We feel most comfortable when we are with people who look like us, act like us and yes dress like us. Have you ever been to an occasion when everyone was dressed up and you didn’t get the message? When you’re shopping don’t you feel better when someone your age waits on you? We expect that since we are close in age they probably understand us better or even have a better idea of what we want. Many of my friends with tattoos, despite the fact they consider the tattoos art and “cool”, they often hide them with long sleeve shirts. Somehow there is still a stigma about tattoos. In 30 years the whole country will have tattoos and those without tattoos will be in the minority. A Harris poll from 2003 found that 16 percent of Americans have tattoos and that a whopping 64 percent of those people are in their 20s and 30s. The late senator Barry Goldwater caused quite a stir in 1978 when it was noted that he had tattoo on his left hand. The tattoo was a line and four dots capped by a half circle , the trademark of the Smoki People. I remembered how shocked people were but I doubt the tattoo is what caused him to lose the presidency. Of course there was Winston Churchill and President Roosevelt, both with tattoos.